It’s Friday in the life of eight young people as they navigate the rough waters of high school. Experience a NEW high-energy musical full of drama, humor, and real-life situations interwoven with the latest discoveries about the mysterious teen brain. Is this your life? Your school? Find out by coming to see the world premiere of Teen Brain: The Musical performed by DCT’s Teen Scene Players playing February 15 – 24, 2013. DCT’s teen and young adult programming focuses on issues and interests of the underserved teen audience. In response to the many requests for more performance opportunities for teens, last season DCT’s Academy introduced the Teen Scene Players, an advanced acting training course for young adults, with an added level of professionalism by including a public performance. All classes taught in the DCT Academy culminate in a presentation for invited family and friends on DCT’s stages, however, the Teen Scene Players class culminates in a DCT Season Special performance open to the public. Teen Brain: The Musical reveals the teen struggle with stress, the pressure to succeed, parents, relationships, homework, risk taking, technology, and impulsivity. Underlying the action of the play is the latest research on the teen brain. Once thought to be just an adult brain “with less miles on it,” the latest neuroscience reveals a very different picture. “Writing a play about the teen brain has interested me for a long time because they are so different, yet brilliant,” says playwright Linda Daugherty. Synopsis: It’s a typical Friday in high school. Ziggy can’t wait to present his report on the teen brain. Straight-A ‘perfect’ Dana has a crush on Austin. Everybody knows Spivey’s been cheating on Ashley from his Facebook posts, and Ashley decides to throw a small party at her house while her parents are out of town. At the end of the day, a terrible accident forces everyone to rethink who they are and about the choices that lead to a tragedy. Teen Brain: The Musical ends with some questions about the characters’ futures, but ultimately leaves the audience with a feeling of hope. An insightful dialogue facilitated by health professionals and representatives from DCT’s Advisory Council follows every performance. A special opening night panel discussion will be led by Susan Sugerman, MD, MPH, FAAP, Girls to Women Health and Wellness; Don Hafer, PhD of Texas Health Resources and Behavioral Health Service Line Director; and Sam DeWitt, a doctoral student in the Cognition and Neuroscience program at the Univeristy of Texas at Dallas Center for BrainHealth. 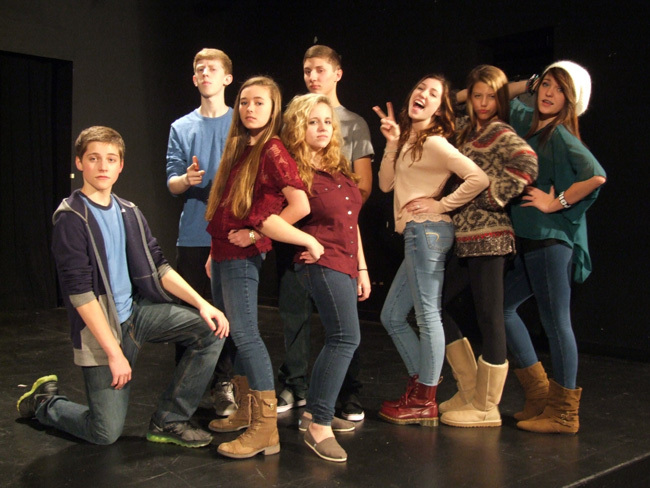 Teen Brain: The Musical is intended for an audience of teens and adults, ages 12 and up. The production contains strong language and situations. Not suitable for young children. For more information or to purchase your tickets, visit www.dct.org.